The Halo Surface LED Downlight (SLD) incorporates Wave Stream technology to create an ultra-low profile surface mounting luminaire with the performance and look of a traditional downlight. SLD6 (6") is designed for installation in many 3-1/2" and 4” square, octagon, or round junction boxes. Supply wire adapter with LED quick wiring connector included. Suitable for residential or commercial installations. Ideal for closets, storage areas, attics and basements. 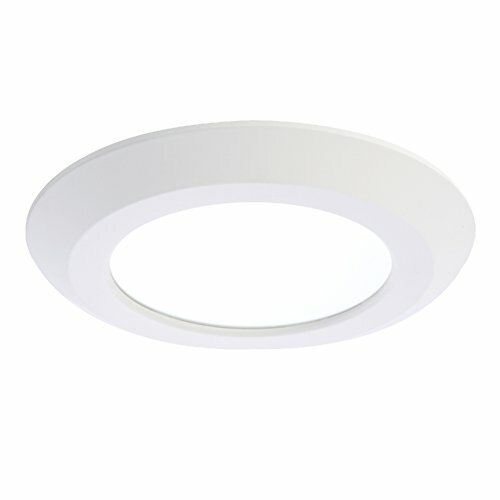 The SLD6 may also retrofit in 5” and 6" aperture IC and Non-IC recessed housings. Dedicated LED wiring connector meets high efficacy code requirement when used in recessed down lighting. Compliant with NFPA70, NECSection 410.16 (A) (3) and 410.16 (C)(5).